MOSCOW (Sputnik) - On Friday the Syrian state flag was raised over the central square of the city of Quneitra, the capital of the province with the same name. It is situated in the Golan Heights in the country's south. Syria's top diplomat to the UN has accused Israel's Western allies of providing political cover and protection to Tel Aviv amid what he described as the country's ongoing occupation of Arab lands. 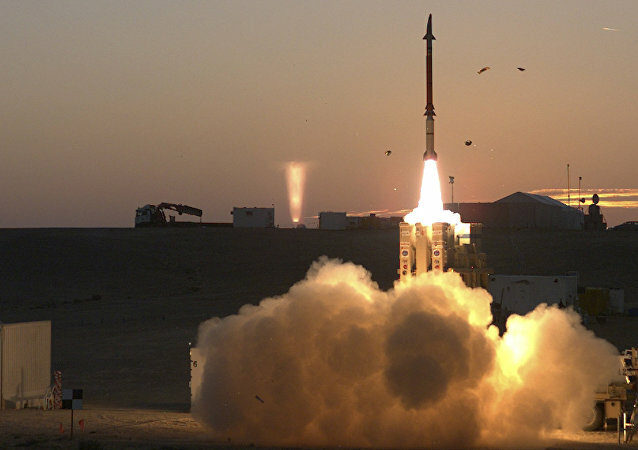 The David's Sling missile-defense system was designed to intercept aerial threats in close to medium ranges, partially overlapping with the Iron Dome functionality. 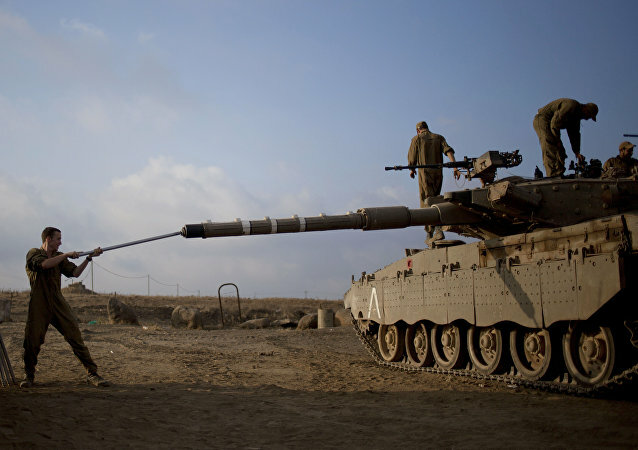 Israel has on multiple occasions accused Iran of deploying troops in the Golan Heights, which have allegedly fired missiles at Israeli territory. Tel Aviv has conducted airstrikes on Syrian territory, claiming that they targeted militant groups controlled by Tehran. The Islamic Republic has denied the accusations. The terrorist group Daesh, earlier in the morning, detonated a car bomb in the town of Hayt, The Jerusalem Post said on Saturday. With the Syrian Army on the brink of defeating militants concentrated near the Golan Heights, Damascus is close to wrapping up its campaign to free southern Syria. Under a recently signed deal, rebels who refuse reintegration will be evacuated to areas in northern Syria, with the Syrian Army deploying units to pre-2011 positions along the Golan. 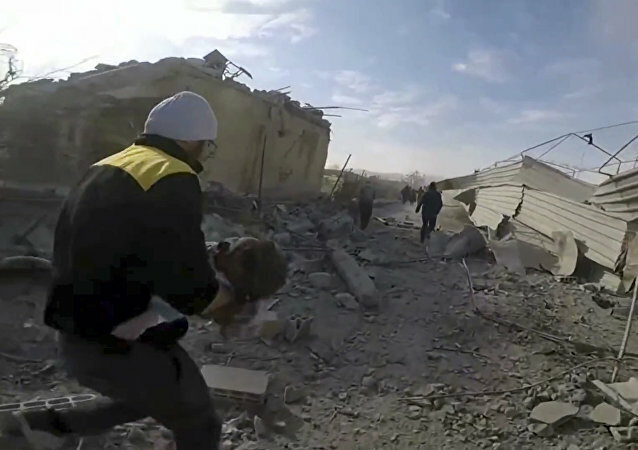 Tehran and Damascus have repeatedly rejected allegations about Iran's military presence in Syria, pointing out that the Islamic Republic only sent military advisors in order to help the Arab country fight against Islamist extremism. 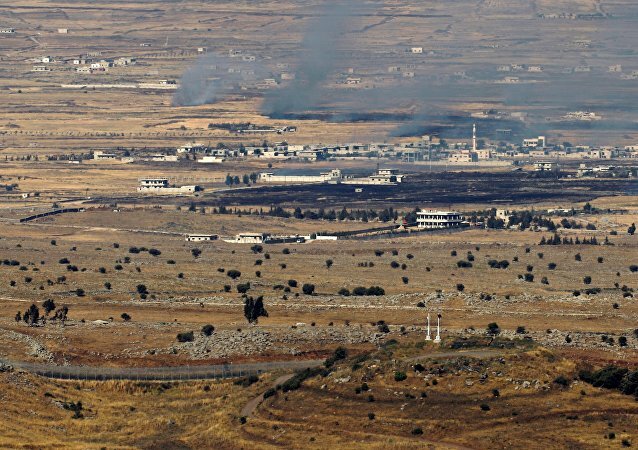 Relations between Israel and Syria have been strained recently, with Tel Aviv pledging a "harsh response" to any Syrian military operations in the demilitarized zone of the Golan Heights. Late last week, the Israeli military hit Syrian Army positions near the Golan Heights in retaliation following a rogue shell that landed east of the fence in the disputed Israeli-Palestinian territory. On Sunday night, Syrian air defense forces thwarted a strike that targeted the Tiyas military air base in Homs province, with Syrian state media placing the responsibility on Israel. An Israeli military aircraft targeted Syrian army positions in the Golan Heights after a rogue shell fell in contested Israeli-Palestinian territory. 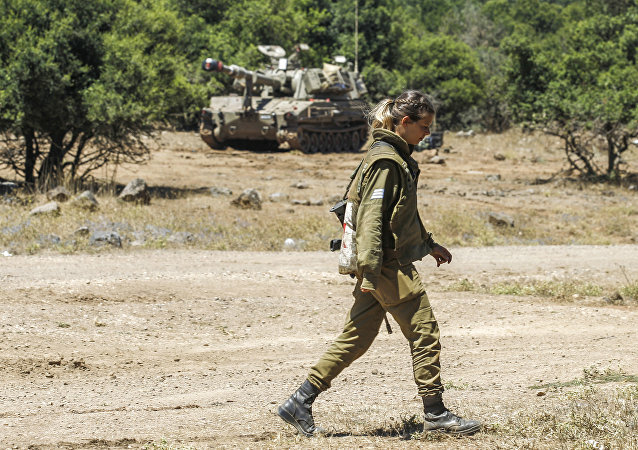 Earlier in the day, the Israeli Defense Forces announced that it was bolstering its defenses near the Golan Heights border with Syria with tanks and artillery. It underlined, however, that it would follow a policy of non-intervention in the Syrian conflict. UN Secretary-General Antonio Guterres is concerned about fighting in southwestern Syria which, he said, has displaced thousands of civilians and poses a threat to regional security, according to his spokesman. Leaked video from a meeting between Israel’s head of Military Intelligence, Maj. Gen. Tamir Hyman, and a number of foreign security ministers shows him warning them that Iran’s presence in Syria isn’t meant to support Syrian President Bashar al-Assad’s battle against terrorists, but instead to threaten Israel. Israel's finance minister has expressed support for a project to develop the Golan Heights and grow its population from the present 22,000 people to 100,000. Speaking to Sputnik, Israeli security studies professor Gabriel Ben-Dor offered his take on the move, its timing, and how it may impact Tel Aviv's relations with Damascus. Israeli government had reportedly attempted to resolve the issue of a swathe of Syrian territory that was captured by Israel in 1967 and annexed 14 years later, and which serves as one of the main sources of tensions between the two countries.